A young man was slashed across the face and stabbed in an early morning attack at his home. 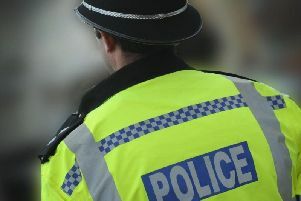 Police said at about 3am today (Monday August 20) a man entered a house in Church Lane, Three Bridges, and attacked a 21-year-old. He was slashed across the face and head and suffered serious injuries to his hand and shoulder. He was rushed to the Royal Sussex County Hospital, in Brighton, where he is being treated for his injuries. Officer say they are not thought to be life-threatening. A dark car sped off from the scene and police are appealing for witnesses. Chief Inspector Rosie Ross said: “We believe this was a targeted attack and the victim was known by his attacker. We are working to trace the suspect but if anyone saw anything which might be able to help us with our investigation.